CLAIR and local governments that employ JET participants are implementing the ‘JET Furusato Vision Project’. By exploring opportunities to use JET alumni in globalisation and local revitalisation activities, CLAIR and the local governments of Japan hope to further expand the potential of the JET Programme and to publicise the successes of the Programme widely both in Japan and abroad. JET alumni who participate in this project will return to their former places of employment on the JET Programme, visiting places and people they had strong connections with and reconnecting with the community. More importantly, participants will develop and implement their own ‘Vision Plan’ that utilises the skills and connections they acquired after JET to make new contributions to their former community in areas such as Tourism Promotion, Economic Exchange, Educational Exchange, Culture & Arts Exchange, Grassroots Exchange, Current JET Participant Career Support, or some other project to deepen the community’s ties to the world. The application period for the 2018 Furusato Vision Project has closed. Former JETs from the following regions were eligible to apply. JET participants who are eligible should read the Application Guidelines, ‘Advice for Applicants’, and Frequently Asked Questions before submitting Form 1 ‘JET Furusato Vision Plan’ and Form 2 ‘Resume’ at the link below. Applications are due by 20 April, 9 AM (Japan Standard Time). In the autumn of 2017, CLAIR Tokyo and local governments that employ JET Programme participants launched the JET Furusato Vision Project. 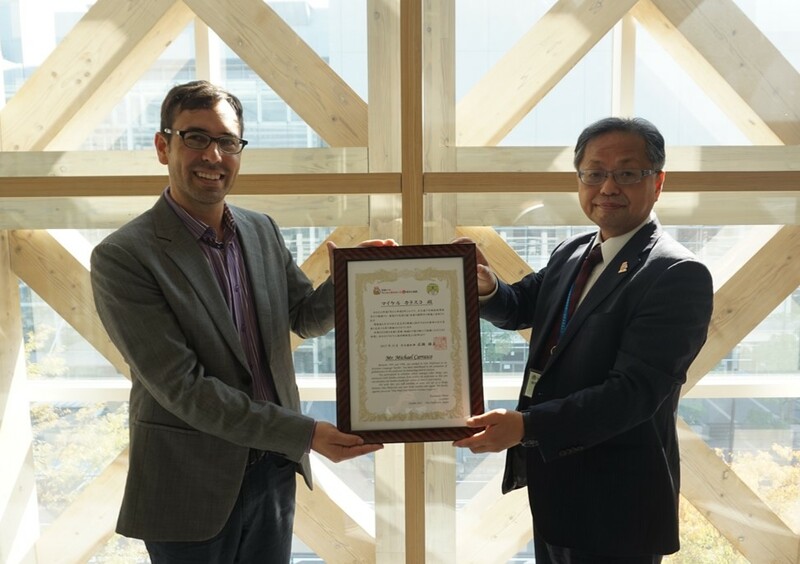 The project took place between 26 October and 10 November 2017, and JET alumni whose former contracting organisations were in Western Japan were eligible to participate. Applications were accepted from 17 March to 8 May 2017, and 106 project proposals from JET alumni around the world were submitted. CLAIR choose eight JET alumni to participate in the Project. Here we we introduce the projects implemented in 2017 and some comments from the eight participants. Hamada City, Shimane Prefecture – Rose Tanasugarn returned to her home country temporarily after being a JET participant in Shimane Prefecture, but now currently works in marketing and sales at a hotel in Kobe City. Having become more knowledgeable about communications, Rose decided to utilise her new-found knowledge and skills to talk about marketing with university students, local government staff, and other officials in her former contracting organisation of Hamada City. In addition, Rose used the connections she made on the JET Programme to help coordinate an event for foreigners in the local area. 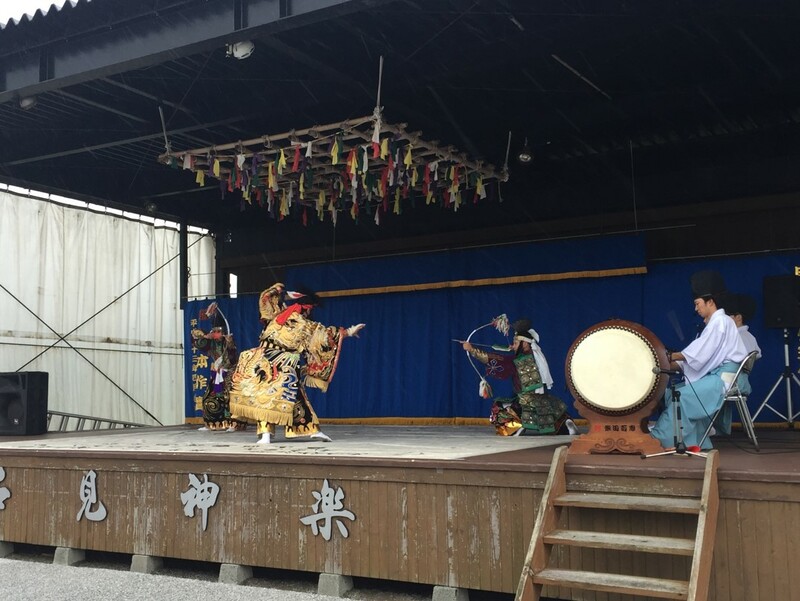 At the event, participants could both watch and try for themselves the Iwami Region’s famous ‘Iwami Kagura’ dance and ‘Iwami Pottery’. Though the event was threatened by inclement weather, the sun came out soon after it began, and many people came and enjoyed the event. When asked what the best part of the experience was, Rose commented, ‘There were so many “bests”, but it was probably the many coincidental reunions with former colleagues and students and being able to give back (to the community) was the best’. Ehime Prefecture – After finishing the JET Programme, Jessica Shepherd returned to Canada to continue her education. 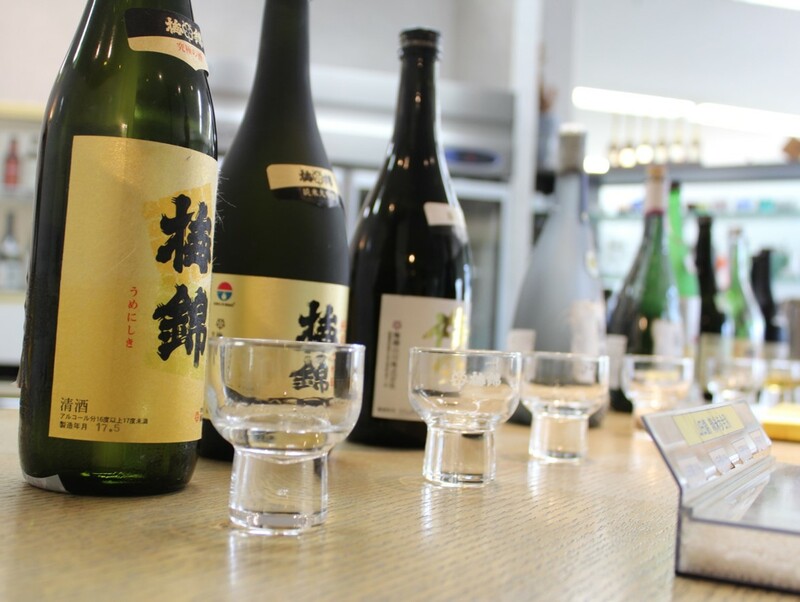 While studying at graduate school, Jessica maintained her connections with Japan by serving as a sommelier of Japanese sake at several events hosted by the Japanese embassy. As she introduced the wonder of Japanese sake to attendees at the events, she noticed that many people were disappointed to hear that the sake she was serving was not available in stores. To fix this, Jessica decided to acquire a license to import sake to Quebec, and used the JET Furusato Vision Project to visit local breweries in her former contracting organisation of Ehime, which is famous for sake. After visiting multiple breweries to discuss the possibility of exporting to Canada, she managed to find a few vendors interested in her endeavour. 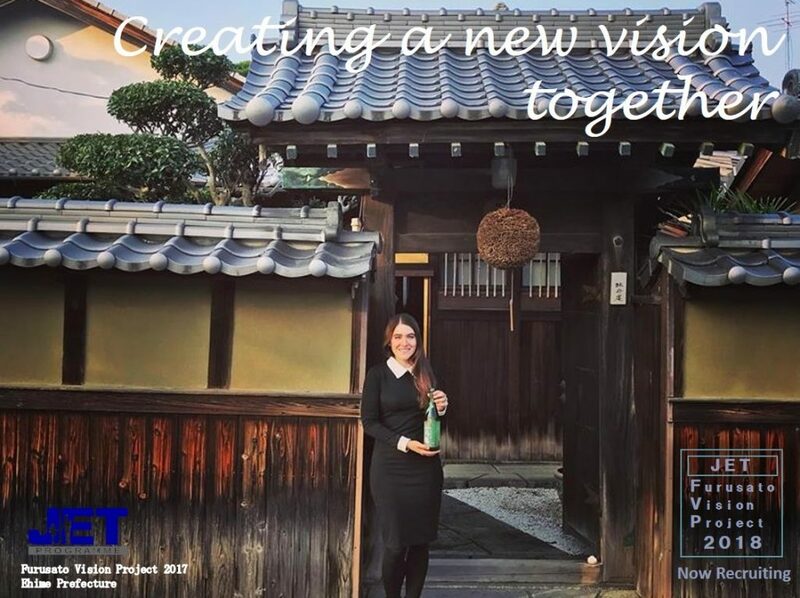 Jessica is now back in Canada making further preparations to import local Ehime brand sake. Oita Prefecture – Michael Carrasco, an associate professor of art history, took the opportunity to study Oita Prefecture’s bamboo arts and traditional basketry on the JET Furusato Vision Project. Michael met with renowned bamboo artists and craftsmen, officials and curators at the Oita Prefectural Art Museum, community members involved in sustainable bamboo forestry, and prefectural staff focusing on the preservation of traditional arts and crafts throughout the prefecture and performed numerous interviews. Michael’s vision is to utilise the connections he made on the Project to invite a bamboo artist to his university and/or plan an exhibition that includes Oita bamboo craftwork, thus spreading knowledge about this traditional art. Michael is currently working with his connections to investigate the next step in his Project. Kyoto Prefecture – Patrick Monari, a second generation Japanese-American, did not have the opportunity to speak Japanese at home when growing up. He did, however, have the opportunity to enjoy Japanese cuisine, and identifies strongly with this food culture. While in Kyoto on the JET Programme, Patrick was particularly taken by Kyoto’s signature kyoyasai vegetables and kyotsukemono pickles, and decided to make this the theme of his JET Furusato Vision Project. 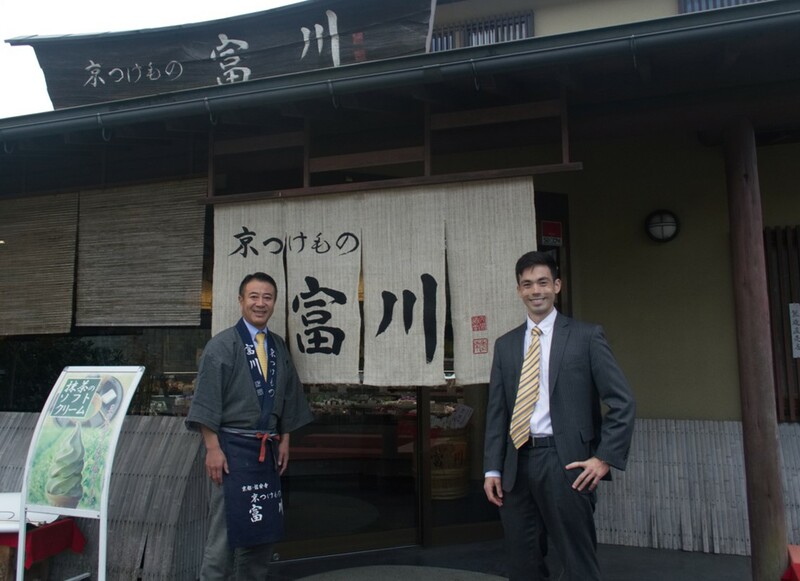 Working with CLAIR, the Kyoto Prefectural Government, and the Kyoto Prefectural Association of Pickle Makers, Patrick was able to schedule interviews with pickle makers from major manufacturers as well as with smaller artisans. He also spoke with prefectural officials about the branding of Kyoto’s kyoyasai vegetables, and even spent a week before the project working on a farm to learn more about what makes the vegetables special. In addition to showcasing kyotsukemono on a popular Japanese cuisine Facebook page (Japan Food Today), Patrick plans to host a pickle-making workshop in his hometown with local supermarket and restaurant officials. Tokushima Prefecture – Katherine Osgood first experienced special needs education while on the JET Programme, and since then, she has dedicated her life to being a special needs educator, studying the practices, and raising awareness. 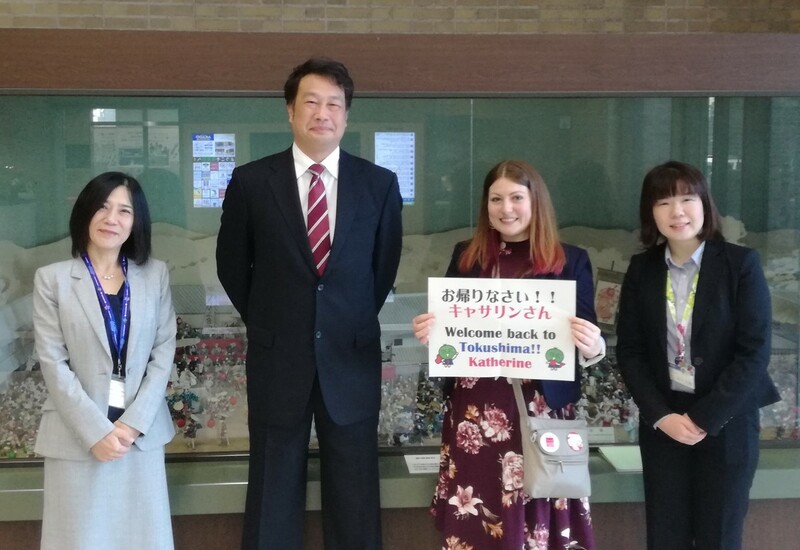 With the aim of giving back to those who introduced her to this passion in Tokushima Prefecture, Katherine decided to share her knowledge of the field with educators in Tokushima. Returning for the first time in a decade, she learned about the current situation of special needs education in the prefecture, exchanged opinions with education officials, and held a workshop for current JET participants and other local educators about best practices in special needs education. Regarding Katherine’s project, officials in Tokushima commented, ‘We were concerned at first about the limited scope of the topic of Katherine’s project and whether or not it would be able to pique the interests of students and participants in the workshop, but the teachers and students welcomed her warmly, and participants in the workshop were very proactive in asking questions. We think this was a great opportunity to think about special needs education in the prefecture’. 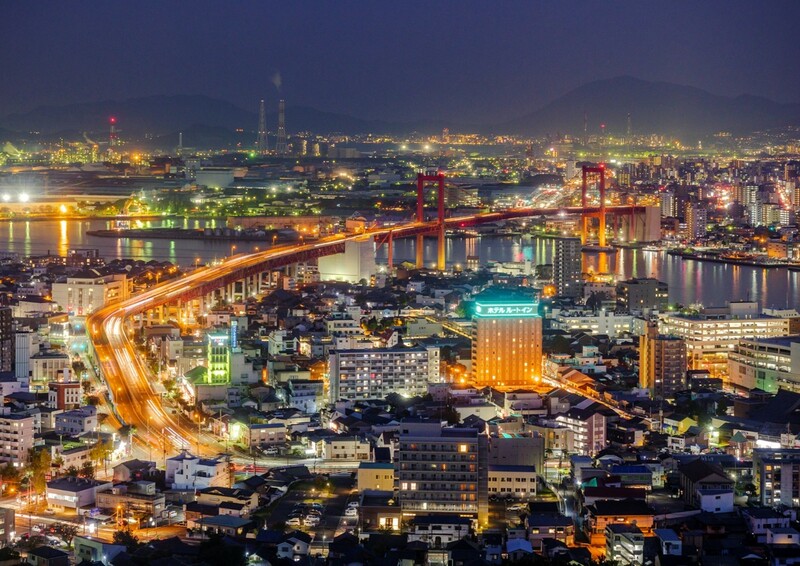 Kitakyushu City – Julius Pang is a professional photographer and photo tour guide. Identifying prime locations for photo shooting throughout Japan, Julius leads groups of photography-savvy tourists, and while instructing them about photography techniques, shows them around the country to places where travellers can get their ‘best shot’. While Julius leads tours in Hokkaido and the Tohoku, Kanto, and Kansai regions, he had yet to develop a course including his former contracting organisation, Kitakyushu City. 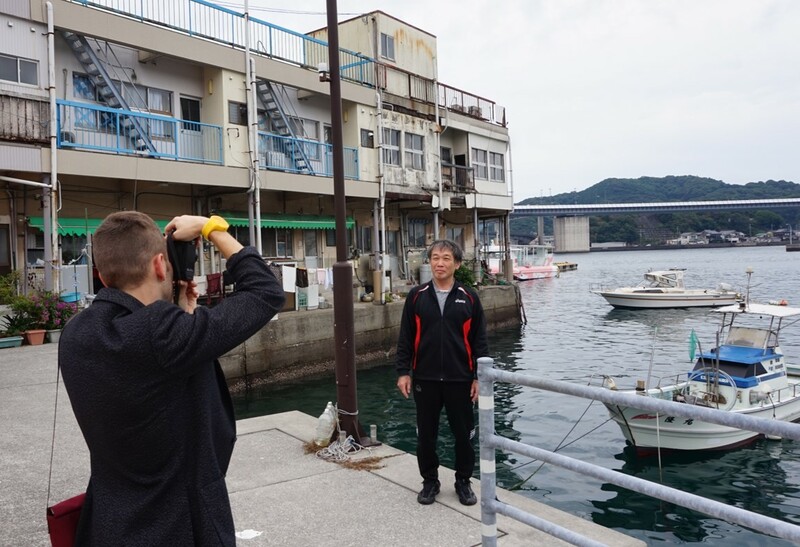 Thinking he could use his photography skills to help promote the city to more people around the world, Julius worked with CLAIR and Kitakyushu City to plan a 5-day photo-tour of the city’s most superb sites. The city was kind enough to negotiate with officials at locations around the city to allow Julius to shoot with his camera and drone in areas usually off-limits to photographers. Julius has been preparing the photos and videos he took for the city’s use in tourism promotion, while also considering the spots for a new photo tour. The city also hopes to use the spots Julius picked as reference for future travel promotion campaigns. While on the Project, Julius’s efforts were recognised by local newspapers and cable news networks; his photos also attracted a large number of followers on social media. To his fellow JET alumni, Julius commented, ‘I highly recommend the Furusato Vision Project. It is ideal because you can get a lot of help to contribute back to your furusato, and it helps promote Japan. I hope it continues for many years’. Miyakonojo City, Miyazaki Prefecture – Boldbaatar Tsendsuren is a former CIR of Miyakonojo City in Miyazaki Prefecture. After leaving the Programme, she worked at a local cable television network in Miyakonojo, gaining experience in the television world. She has since returned to her home country of Mongolia, but continues her exchanges with friends in Miyakonojo, keeping up-to-date with the latest goings-on of the city. When she heard that Miyakonojo officials were making an effort to publicise Miyakonojo beef in Mongolia’s capital of Ulaanbaatar, she jumped on the chance to use her connections at television stations in both Ulaanbaatar and Miyakonojo to propose a programme introducing Miyakonojo beef to the people of Mongolia. For the project, Boldbaatar was planner, director, host, and editor of the programme. 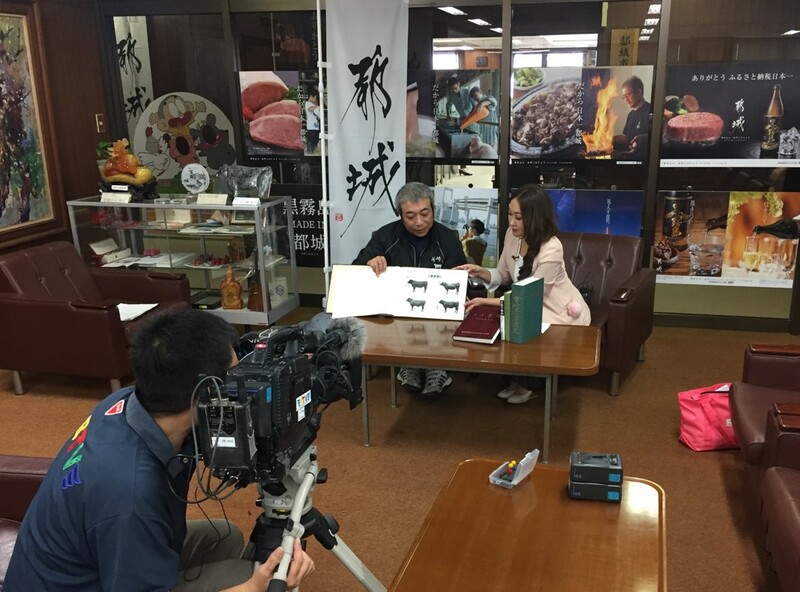 The local cable television network in Miyakonojo, BTV, assisted her by providing a cameraman and transportation for the duration of the project, and officials of Miyakonojo City arranged the shooting locations and interviews with local cattle farmers. After the project, Boldbaatar commented, ‘The people of Miyakonojo were very happy and thankful when they learned of my project to spread the word about Miyakonojo beef. I will have to work on editing the footage when I go back to Mongolia, but I want to make it an excellent programme worthy of the thanks I received from people here’. Amakusa City, Kumamoto Prefecture – Zachary Johnson is working on a community art project to explore commonalities in both the Ushibuka region of his former contracting organisation, Amakusa City, and the Burton Heights neighbourhood in his town of Grand Rapids in the United States. Though each region faces different social and economic hardships, both areas are experiencing shifts in population and an increase in empty shops and homes, threatening the loss of the neighbourhoods’ histories. Seeing the situations of both neighbourhoods, Zachary proposed an art project focused on the enduring hometown pride felt by people in each region and their memories of the neighbourhood, rather than simply on the changing cityscapes. Zachary had residents of both regions write short messages regarding their memories, and photographed the participants in the associated locations. The memory, photograph of the location, and photograph of the person will be displayed together in an art exhibition in Grand Rapids planned for summer 2018. Zachary hopes that the exhibit will be an opportunity for people to reflect on what makes their communities special. Each project operated on a very tight schedule, but each of this year’s eight participants worked tirelessly to make the most of their allotted time. Despite the tough schedule, all of the participants agreed that the JET Furusato Vision Project was an endeavour that they would recommend to their fellow JET alumni! Here we present advice from CLAIR staff and participants in the 2017 JET Furusato Vision Project. Propose something only you can do, either because of your connections or the skills you acquired after JET. If your project idea is one a current JET participant (ALT or CIR) can easily do, it will be less competitive in the selection process. Consider how your proposal will look when shown to local government or school officials. Have all the necessary details been explained? Have you explained what your role will be in the project, and what you expect CLAIR or your former contracting organization (a local government) to help with? As your former contracting organization will be consulted in the screening process, make sure that the local government officials there can understand your idea and the merits to helping you do it. Remember that there are budget constraints. CLAIR can provide some assistance with project related fees so there is no burden on the local government, but only to an extent. Projects which hinge on obtaining a large sum of funding may be less competitive. Try to limit the range of your activities to the prefecture or designated city where you were located on the Programme, and be sure to mention how your proposal will help that region! Although many JET alumni show interest in engaging in activities at their former schools, please remember that school schedules cannot always accommodate events or special classes. Events or special classes longer than an hour are often difficult to schedule, and even when the planned activity is short, schools may not be able to allot time due to another scheduled event (sports day, school festival, teachers’ conference, etc.). In principle, while participating on the project, participants must use public transportation (trains, buses, ferries, taxis, etc.). Participants cannot rent a car, even if they bear the cost themselves. Please check the Frequently Asked Questions before contacting the e-mail address below.